R and I literally had to discuss which team we'd root for in the Super Bowl, considering the fact that we're both less-than-nominal football fans and have no real investment in either team. 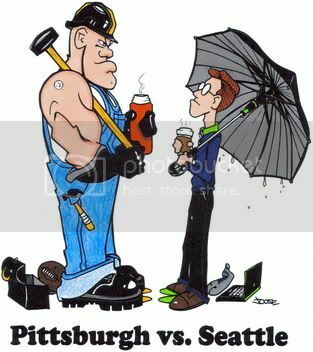 This picture basically sums up our discussion and why we decided to cheer on Pittsburgh. Hey, a new template! I like!